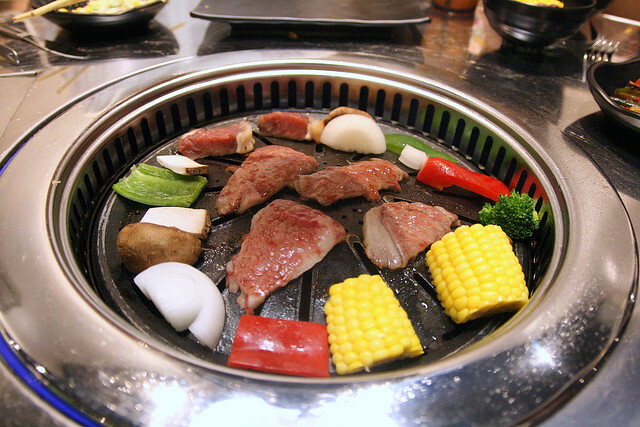 SmokeHouse Charcoal BBQ Restaurant at Great World City: Wagyu Wonderland! Buffet on Weekdays! There's a new Japanese BBQ place in town. SmokeHouse Charcoal BBQ at Great World City lets you pick from over 20 premium cuts of beef from a beautiful meat showcase. They specialise in wagyu from Japan, but there's also beef from Australia and US. It's a retail-and-dining concept. You can buy the meats at retail price, take it away or BBQ it in the restaurant. There is a unique dining process here: get a table number from the cashier, pick up your BBQ selections from the retail side, pay for all the items (there's a cover charge for rice, soups, kimchi and salads), and BBQ away! 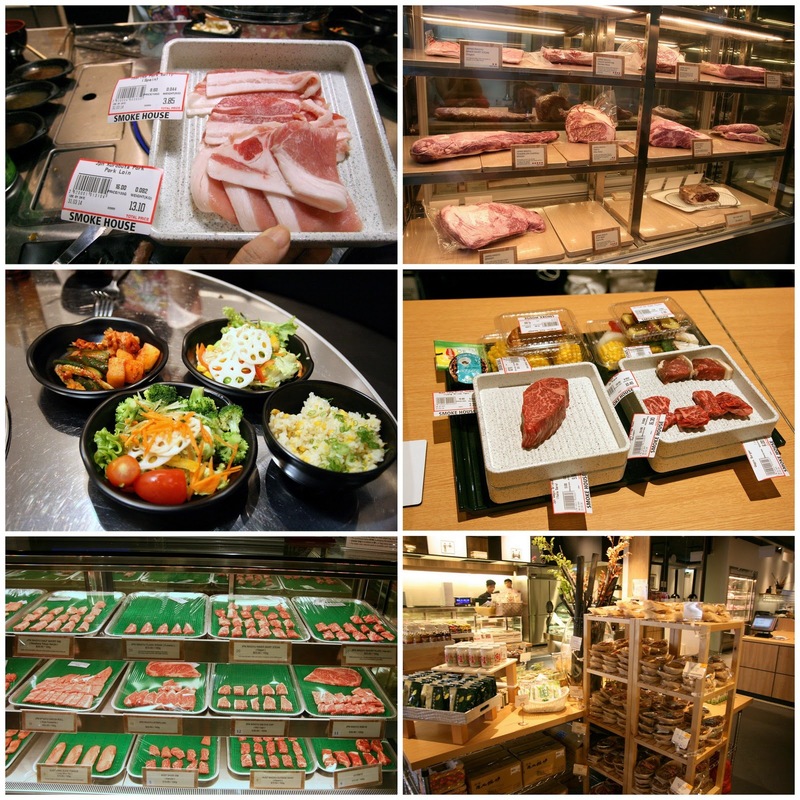 The whole self-service procedure and the mind-boggling array of meats might seem a little daunting for some locals, so they've introduced buffets on weekdays! The $60 nett all-you-can-eat wagyu for dinner is a steal, given the quality of the meats. Reminds me of the "tabehodai" buffets in Japan! There is a $23 lunch buffet too, but that does not include wagyu. You can buy a few pieces to add on. Trust me, after you try the wagyu and regular beef side by side...you'll realise there is just no fight. The retail section also stocks interesting exclusive products from Japan. I really like the fruit vinegars (upper left corner) which are so delicious. Dilute them with water and drink for good health! 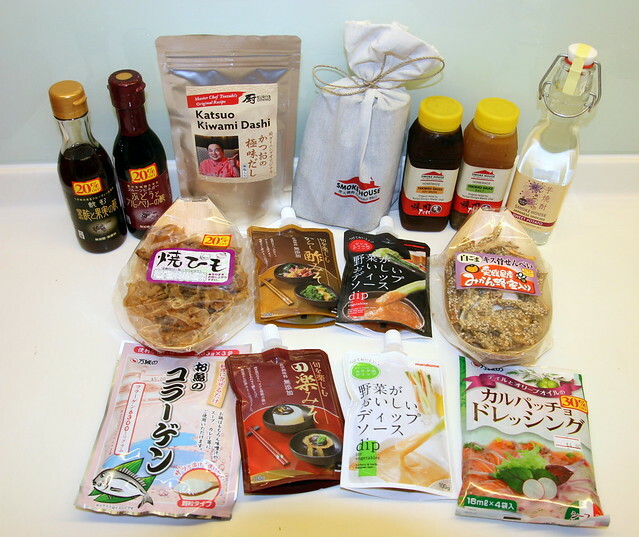 There's also various vegetable dips, salad dressings, dashi, BBQ sauces, shochu, otsumami (beer snacks - love the Yaki Himo - dried scallop strings) and even fish collagen! When I was at the restaurant, I saw them playing this video featuring the NinjaGirlsSG (hey, Atsuko's the meat fairy!). They are so funny and awesome.